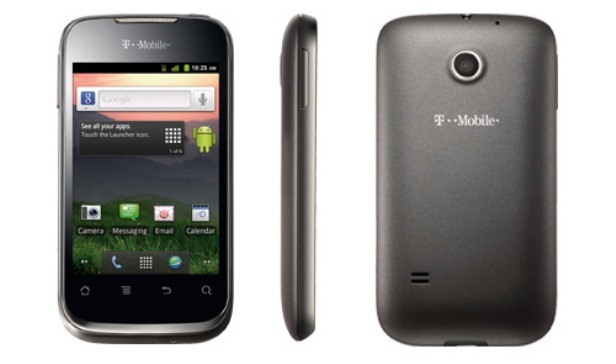 Launch in May 2012, the Huawei Prism u8651t is popular in the United States under the name of T-Mobile Prism. It runs on one of the most updated versions of Android – v2.3.5, Gingerbread, and it is well-known for its performance. If you are one of the proud owners of this smartphone, and you started noticing a variety of errors and other software issues, it might be the best time to hard reset the T-Mobile Prism u8651t. As it happens with most similar Android phones, this one can sometimes be attacked by viruses that will spread around and cause a lot of damage. The master reset procedure is going to restore the device back to factory settings, which means it will refresh the OS and remove all data that could possibly store the virus. This way, anything from music and pictures to contacts and messages will be wiped out during the process. Coming with a removable Li-Ion 1600 mAh battery, the phone supports up to 400 hours stand-by and 6 h 30 minutes talk time. In terms of connectivity, it has a Wi-Fi 802.11 b/g hotspot and Bluetooth v2.1, while it’s equipped with a 2G and a 3G network and gives access to many free apps. One of its weaker points is the single 3.15 MP camera and the internal storage capacity of only 512 MB. Since we previously mentioned the fact that all data will be erased from the device, we consider it necessary to offer a little guidance it terms of making a backup. The only way to avoid losing any important documents is by saving everything on a cloud, your computer, the micro SD card or any other device you’d like to use. Alternatively, there is a free application for Android tablets, as well as phones – this one can be downloaded here and it is very easy to install. Reknown for its ability to help clients create quick backups, the Phone Copy app received many positive reviews all over the internet. From the phone’s Home Screen open the Main Menu. Select the Settings folder and scroll down to choose Privacy. Tap Factory Data Reset and when prompted touch Reset Phone. If necessary, enter the passcode and tap Erase Everything to continue. Turn the phone off and charge the battery up to at least 80%. Press and hold the Volume Up and Power keys together for a few seconds. Release the buttons and use Volume Down to look for Wipe Data/Factory Reset. Select your option with Power and use the same Volume key to highlight Yes. Choose this answer using the Power key once again and wait for the wipe to be complete.